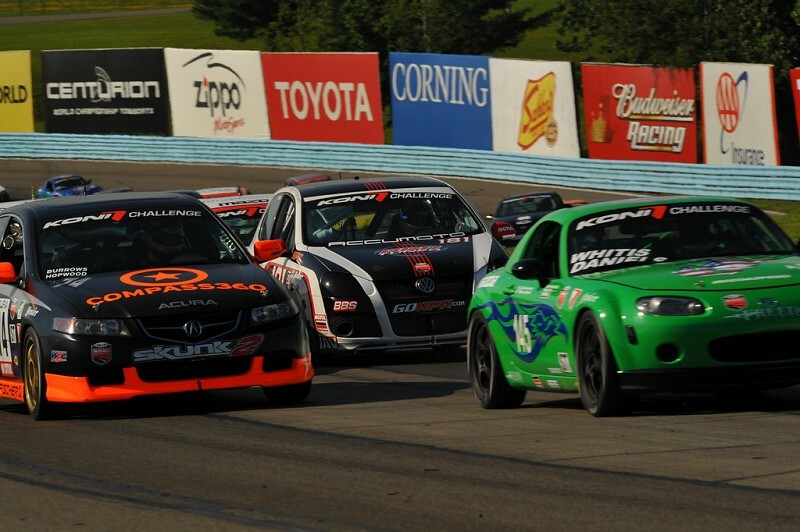 APR Motorsport continues marching towards the podium at Watkins Glen! Even the so called "Mayor of Watkins Glen", otherwise known as Randy Pobst, didn't experience his regular success at Watkins Glen this past weekend. The team had hoped Pobst, who had won four of his last five races at Watkins, would be their lucky charm, but it was not to be. Pobst, who was leading the KONI ST race with roughly 50 minutes to go, experienced a yet-to-be determined mechanical issue, knocking the #181 Team Janica Racing/APR Motorsport VW GTI out of race. 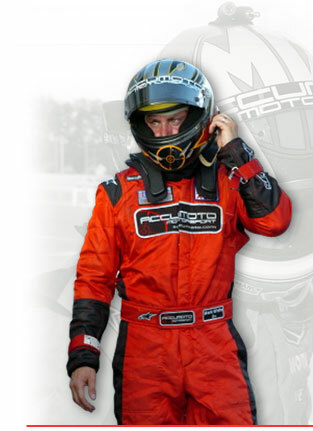 The race started with Mark White, Pobst's teammate who qualified the car fourth on the grid, behind the wheel. After a first lap battle with veteran PD Cunningham in the upper esses, Mark passed the Freedom Autosport Mazda MX-5 to slot into third. He then put it on cruise control, easily staying in P3 and creating a comfortable 5 second gap to the rest of the field. This effort resulted in what ultimately turned out to be the fastest ST class lap of the race. When the third yellow fell at about the one hour mark, APR Motorsport strategist TC Kline made the call to pull all three of the APR GTI's in for an early driver change. The early pit entry looked risky to some but actually immediately paid benefits, with Pobst, putting the #181 into first place shortly into his stint. Pobst was cruising at the front for many laps and an even longer time under yellow (only 23 minutes of green flag racing took place in the first 1 hour and 28 minutes of the race) and it looked like APR Motorsport had finally eluded the perils of a first year team. Unfortunately, 15 minutes later the race was over for the #181 car when the motor went off song and Pobst was forced to limp the GTI back to the pits, putting the car behind the wall. Pobst said "We really had the car to beat today. As has been the case, Mark qualified the car really well, starting us out in fourth, and he handed a showroom clean racecar over to me in P3 at the change. Once in the car, I made a few passes and got myself into the lead pretty easily due a great pit call by TC Kline. I really feel for the team, as we really, really should have had this one. As seems to have been the case the past few races, luck just wasn't on our side. Oh well, we'll get 'em next time!" White added: "I was able to move into third immediately and then focused on a clean race. We had a great car and I knew the combination of our set-up and Randy was the e-ticket ride this weekend. It's just tough luck that we experienced the mechanical. For the third time in three races, it was looking like we were on our way to a podium finish with the Team Janica/Accumoto/APRM VW GTI! As always, the crew worked their tails off to put a great car underneath us." The #171 car of Baas and Povoledo also experienced bad luck, having been caught up in a severe accident at turn six. The crash was frustrating for the Baas/Povoledo #171 GTI, as it was on pole thanks to the great efforts of Aaron Povoledo, who qualified the car on pole in his first race ever in the car. Baas said about the weekend: "Here we are again, talking about yet another situation where we were just so close. I am really sorry for the crew and for Aaron, who just did so well in getting that pole. Frankly, I am glad to just be safe. Povoledo said: "I feel so badly for Ian and to be honest, I'm just glad he's ok. The in-car video from our car (of the crash) is pretty scary, really. Before the crash, we were running an absolutely fantastic race, with all three cars in the top ten and two in the top three when all hell just broke loose. It's really too bad that 181 suffered that mechanical and we were crashed out, as we'd likely have had a double podium. I'd like to thank the team, the crew and the owners of APR Motorsport for the great opportunity to fill in for Dion (von Moiltke). I hope to be back in an APR GTI soon!"